Advancements in technology, specifically in handheld devices and portable electronics, are increasing at a rapid rate. Because battery technology and advancements have been moving at a much slower rate, the use of these devices has been limited to their battery life. 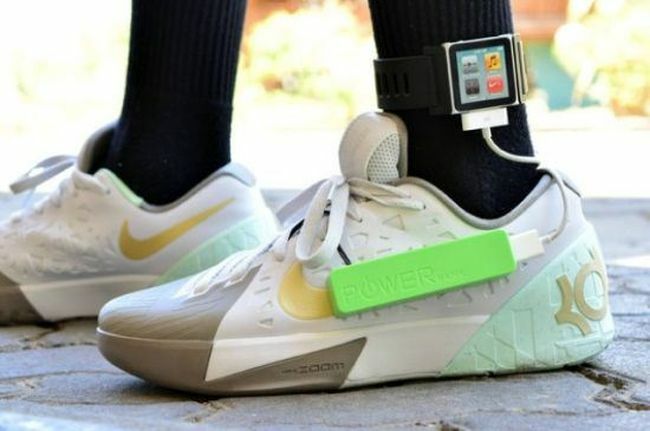 This issue motivated engineering students from Carnegie Melon University to develop SolePower, a rechargeable battery that is powered and charged when the user walks. A special insole (or “ensole, for energy insole) is placed in the user’s shoe. The mechanism inside the insole is able to capture the kinetic energy produced when walking, which is then used to spin an electromagnetic generator as fast and as long as possible. The power created is then stored in an energy pack, which can be stored on top of the user’s shoe or on the users ankle. This energy pack can then be hooked up to cell phones or other portable devices and used a portable battery. Currently, an hour walking provides enough energy to sustain two and a half hours of talk time on a cell phone, with a walk between two and a half to five miles providing a full charge to an iPhone. Though this product is still under research and development in hopes of making it as compact and as efficient as possible, the company has over 600 backers, received numerous awards, and already has a waitlist of over five thousand people for when the product is released. Looking forward, the founders of SolePower are hoping to also create a low-cost model, specifically to be used in developing countries. This would be life changing for those who live in third world countries, as cell phones provide a crucial link in advancing. Specifically looking at Kenya as an example, 84% of the population owns cell phones while only 14% has access to electricity. Therefore, the “ensoles” provided by sole power would provide an energy source under any weather condition, as long as the user can walk. SolePower will also allow developing worlds to transition away from kerosene lighting, which is highly polluting and inefficient. This entry was posted in Batteries, Shannon O’Neill and tagged Cell Phone, Energy, EnSole, Innovation, Rechargeable Battery, SolePower, Walking by Emil Morhardt. Bookmark the permalink.